The average woman in D.C. earns less than the average man, but that wage gap varies widely once race is taken into consideration. For example, white women earn 79 cents for every $1 a white, non-Hispanic man earns, but Hispanic women earn 41 cents for every $1 a white, non-Hispanic man earns. These numbers come from the National Women’s Law Center, which released state-specific data on the gender pay gap. D.C. has one of the lowest overall wage gaps when compared to other states and the national average of 77 cents on the dollar. But comparing D.C. to other states is an apples-and-oranges kind of comparison, so NWLC senior policy analyst Katherine Gallagher Robbins sent us the statistics of nearby cities to get a sense of how the District fares. The gap in pay between men and women in D.C. is the second smallest among Philadelphia, Baltimore, Boston, Atlanta and New York City (which came in first, with 93 cents on the dollar). But take race into account, and D.C. doesn’t do so well anymore; of the aforementioned cities, only Atlanta has a larger pay gap between minority women and white men. In the Georgia city, black and Hispanic women make about 42 cents for every $1 white men earn. Increasing college degrees among black and Hispanic women in D.C. could help make a dent in the wage gap — 23 percent of D.C.’s black women hold at least a bachelor’s degree and 35 percent of the city’s Hispanic women hold such degrees, while 86 percent of white men do, according to census estimates. But even the average college-educated woman in D.C earn 12 cents less than the average college-educated man, according to NWLC. On Thursday, Barry’s Twitter account clarified his criticism, aiming it at carry-out joints that sell greasy food and put up plexiglass barriers between customers and employees. And many of such restaurants, he said, are owned by Asians. Barry faced criticism throughout Thursday, including denunciations from Councilman Tommy Wells (Ward 6), Council Chair Kwame Brown and Mayor Vincent Gray. Barry eventually apologized for offending the Asian American community. Barry said he intended to criticize some, not all, Asian-owned businesses, but he remained staunch in his view that Ward 8 deserves better food options and less plexiglass. Part of Barry’s scourge centers on the feeling that predominately black Ward 8 is often disrespected, and that feeling is at the heart of many issues east of the Anacostia River. By bringing race into the mix, Barry touched upon a history of animosity. In many cities, some view Asian grocers and liquor store owners in predominately black communities as profiting off of customers while not treating them with respect. Who Can Claim ‘Native Washingtonian’ Status? 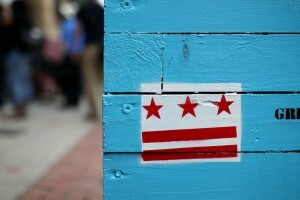 A D.C. flag painted on a planter on gentrified H Street NE. Most newcomers to D.C. hail from from far-away places, not nearby suburbs, according to newly-released census estimates. More than double the number of people who moved into D.C. from Maryland and Virginia came from outside the region, such as New York and California. While the nation has seen its population increase because of the rise of racial minorities, D.C.’s population has grown because of whites moving into the city. At the same time, the District’s black community has shrunk. And those leaving D.C. mostly move to places like Maryland’s Prince George’s and Montgomery counties, according to the census estimates. All of these numbers makes me wonder about what it means to be a “native Washingtonian.” It’s a term that carries plenty of clout in this transient city, and especially in light of gentrification, it’s become code for “non-gentrifier.” But as the city swells with folks who hail from so far away, could local newcomers claim some of that clout, too? Take me, for example: I was born in D.C. and grew up in Maryland. I moved into the District a few years ago, but D.C. news, arts and politics have been a big part of my adult life. At the same time, I acknowledge that my childhood was marked more by rolling, rural hills than by city streets. Am I no different than someone who moved from, say, the Midwest? People are more charitable toward young black children than older black children, according to a new study published in the journal of Social Psychological and Personality Science. Researchers examined data from a large, online charity that solicits donations for school projects. Proposals that included photos of older black children — sixth through 12th graders — didn’t get as many donations than proposals with photos of younger black children. For white children, an opposite pattern exists. For African Americans, that means teenagers are more likely to be associated with stereotypes of being lazy, thus less deserving of sympathy and charity than young black children or white children, the study’s authors note. 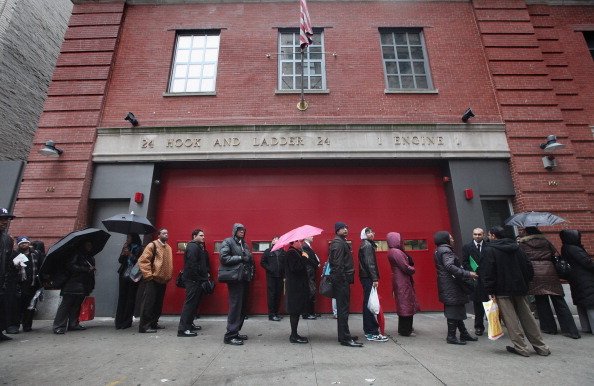 Photos: What Won’t You Stand For? Want to end racism? Why not start with putting it on a T-shirt. Until 8 p.m. today, a pop-up booth will be in Farrguat Square where people can create T-shirts with customized messages. 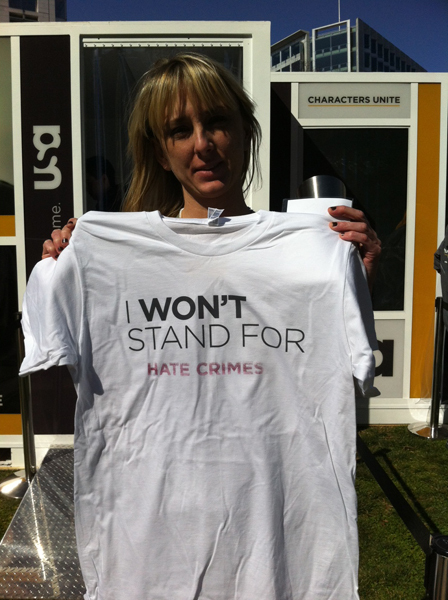 It’s part of USA Network’s Characters Unite campaign to bring awareness to hate and discrimination. Passersby can stamp T-shirts that read “I won’t stand for…” with a number of words, including discrimination, intolerance, homophobia, racism, sexism and hate. 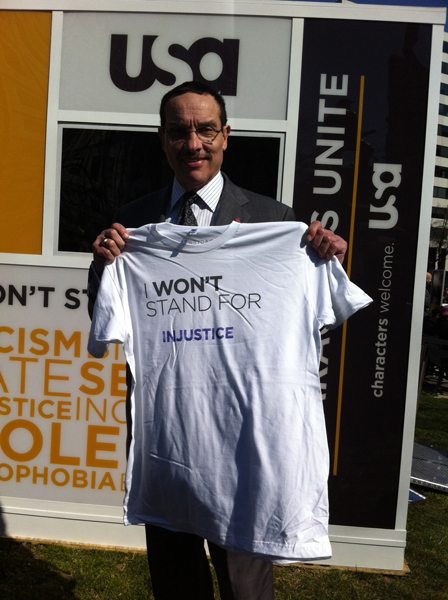 Some individuals, including D.C. Mayor Vincent Gray, told DCentric about what they chose to stand against. Is there anything you won’t stand for? Why? Kennethia Simmons said she wouldn’t stand for violence. “People are getting killed every day over something dumb,” she said. The 20-year-old D.C. resident said her brother was killed last year. 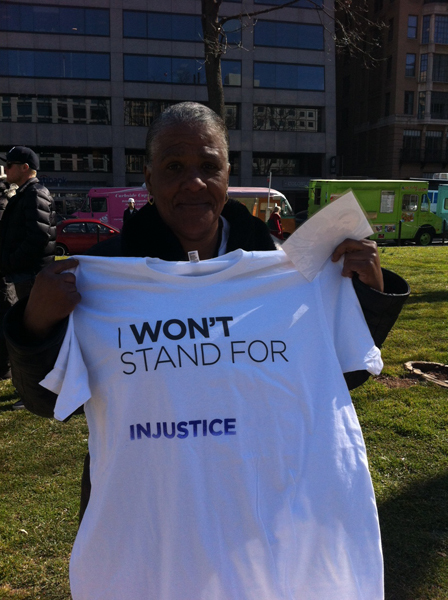 Althea Edwards, 50 of D.C., said she wouldn’t stand for injustice, particularly as it relates to homelessness and healthcare. “There’s a lot of injustice in America and if we don’t pull together we’re not going to get out of this mess,” she said. Asian American teens are bullied more than youths belonging to any other racial group, according to new data from the U.S. Justice and Education departments. Teens aged 12 to 18 were interviewed for the study. More than half of the Asian American teens reported being bullied in classrooms, compared to almost one-third of white students. The disparity is even greater when it comes to cyber bullying; 62 percent of Asian Americans surveyed reported being harassed online once or twice monthly, while only 18.1 percent of whites were cyber bullied. 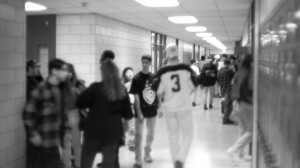 Policymakers see a range of reasons for the harassment, including language barriers faced by some Asian American students and a spike in racial abuse following the September 11, 2001 attacks against children perceived as Muslim. “This data is absolutely unacceptable and it must change. Our children have to be able to go to school free of fear,” U.S. Education Secretary Arne Duncan said Friday during a forum at the Center for American Progress think-tank. Muslim Americans, many of whom are Asian American, are also facing increased institutionalized profiling by law enforcement since 9/11, recent reports indicate. 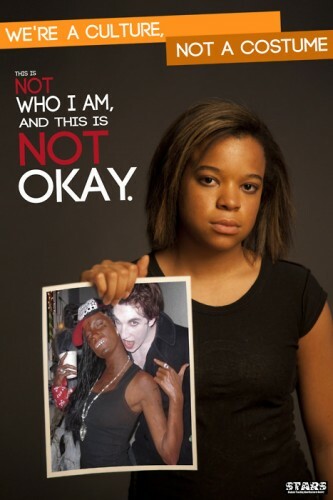 Ohio University's Students Teaching About Racism in Society has released these posters as part of a Halloween awareness campaign. 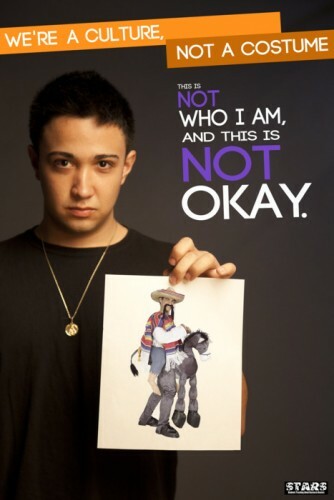 Is it racist to dress up as a Mexican for Halloween? Yes, according to a group of Ohio University students who launched the “We’re a culture, not a costume” campaign now gaining national attention. “To treat a character like Batman or Superman as a Halloween costume is one thing, but to treat an entire ethnicity as a costume is something else. It suggests that people conflate the actual broad diversity of a culture with caricatures and characters. 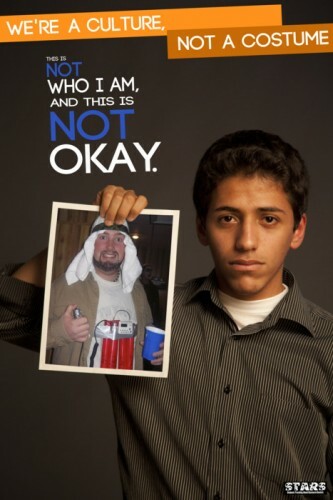 This poster campaign isn’t about being overly sensitive to costume choices, it’s about perpetuati­ng prejudices and negative stereotype­s through these choices. All we’re asking people is to stop perpetuating those prejudices and to realize that you’re crossing a line when you strap fake bombs to your chest to portray a Middle Eastern man or if you paint your face black. Local black sports fans are more likely to support the Redskins than white fans, according to a new Washington Post poll. One explanation: black respondents said they were more interested in the NFL than white respondents. Still, the loyalty contrasts to the Redskins’ tumultuous history with race; the team was the last in the league to integrate. While the Redskins has overcome its past of racial segregation, some argue the franchise is still racist and far from deserving support. At issue: the team’s name, which has been protested as a slur for decades. 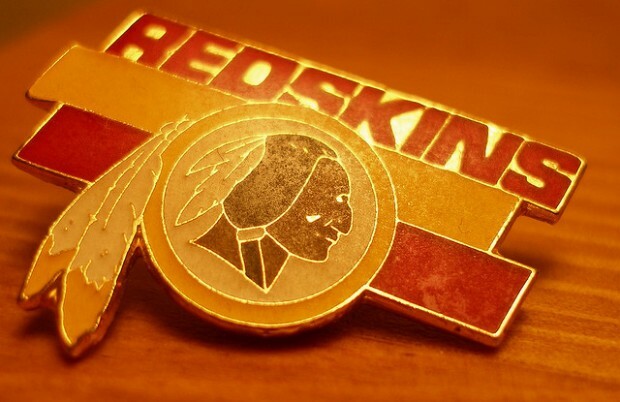 A group of Native American activists filed a lawsuit in 1992 to force the renaming of the team. 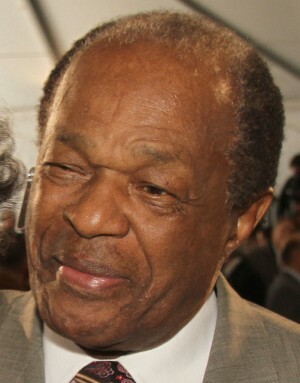 The case almost made its way to the highest court in the land, but in 2009, the Supreme Court declined to hear the case. Meanwhile, some college teams have voluntarily changed their Native American mascots. The Redskins team remains one of the most profitable in the league, so the name retains a lot of brand value. And the franchise has to appeal to the black community in order to do well financially; more than 1.4 million African Americans live in the D.C.-area, making up 26 percent of the region’s population. Offending Native Americans, who only make up 0.4 percent of the metro area’s population, will never be as big of a concern for the franchise; they can’t hurt the team’s pocket book enough.